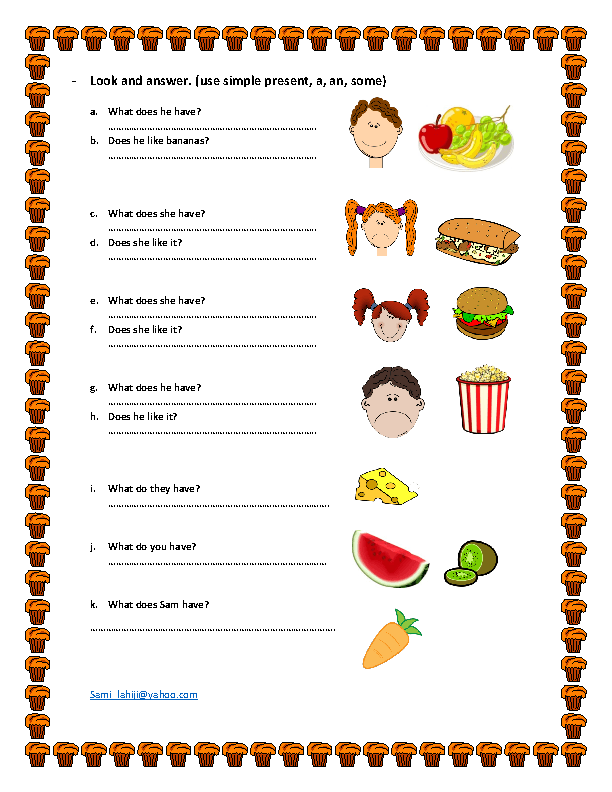 This worksheet is appropriate for young learners. It's suitable for reviewing food related vocabulary items. 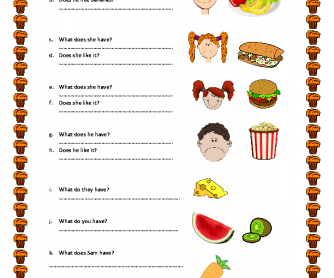 And it's also useful for practicing simple present, count and non-count nouns and short answers. Hope you find it useful in your classes.